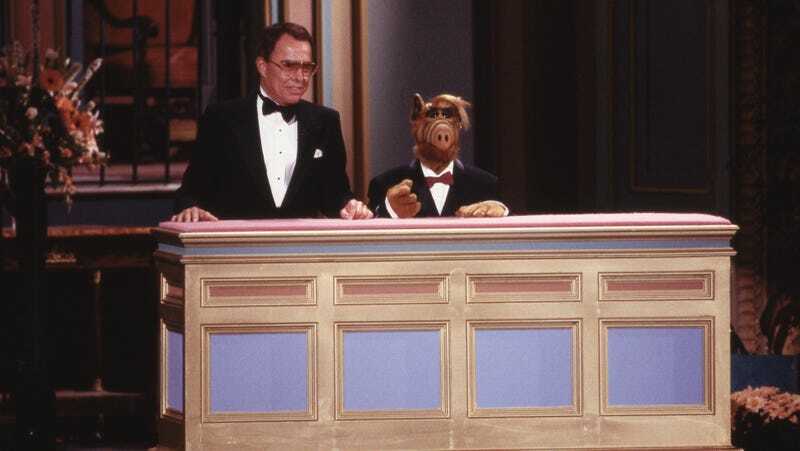 It was, perhaps, inevitable that the unstoppable forces of the TV Reboot—the network-agnostic force that demands everything old in television be made new(-ish) again—would someday come for ALF. After all, there’s something irresistibly nostalgic about Gordon Shumway, the beloved Alien Life Form from Melmac, a quality of goofy sarcasm that’s made him an anchor point for a particular brand of unquenchable ’80s nostalgia that we can’t imagine someone wouldn’t try to tap into, eventually. Now, Deadline reports that Warner Bros. has begun the development process on an ALF reboot, hunting around for writers and producers willing to hoist this particular IMDB credit onto their backs. This isn’t even the first time the idea has been floated, either; Sony was briefly considering a CGI animated movie back in 2012, and NBC chairman Bob Greenblatt mentioned the possibility of a new series back in 2015, as he was attempting to build hype for the ill-fated Coach reboot. Now, Greenblatt’s words, half joke, half threat, have taken on the grim cadences of prophecy. Meanwhile, there’s no word yet on whether any of the original ALF team—including puppeteer and voice actor Paul Fusco—have expressed any interest in coming aboard this latest attempt to bring cat-devouring alien comedy back into vogue.